In My Mailbox is a weekly meme hosted by Kristi of The Story Siren! Head on over there to see what books showed up in bloggers' mailboxes this week. 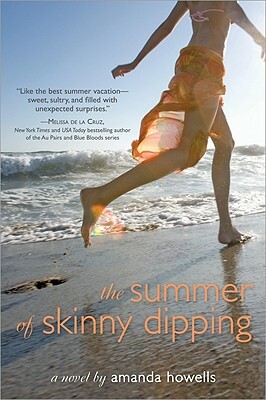 The Summer of Skinny Dipping by Amanda Howells (Sourcebooks, June 2010). 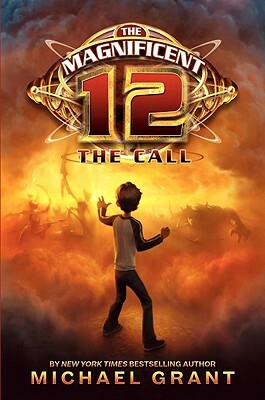 The Magnificent 12: The Call by Michael Grant (Katherine Tegen Books, September 2010). And then, one day, something incredibly strange happens to Mack. A three-thousand-year-old man named Grimluk appears in the boys bathroom to deliver some startling news: Mack is one of the Magnificent Twelve, called the Magnifica in ancient times, whatever that means. An evil force is on its way, and its up to Mack to track down eleven other twelve-year-olds in order to stop it. He must travel across the world to battle the wicked Pale Queens dangerous daughter, Ereskigal—also known as Risky. But Risky sounds a little scary, and Mack doesnt want to be a hero. Will he answer the call? 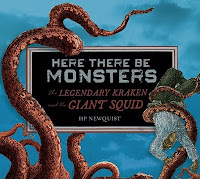 Here There Be Monsters: The Legendary Kraken and the Giant Squid by H.P Newquist (Houghton Mifflin, August 2010). HP Newquist's fast-paced account reveals how long-ago myths about the kraken transformed into the modern study of Architeuthis dux, the giant squid.Weaving scientific discovery with historical accounts—along with the giant squid’s appearance in film and literature—Here There Be Monsters explores the mystery of this creature in fascinating detail. Readers will find that the monster remains hidden no longer, because scientists have finally seen the kraken with their own eyes . . . alive and rising up out of the sea. I'm very excited about these books! So, did you get anything exciting in your mailbox?